The state government is set to take decision in this regard in the wake alleged threat to the life of Shivpal as has been claimed by him. 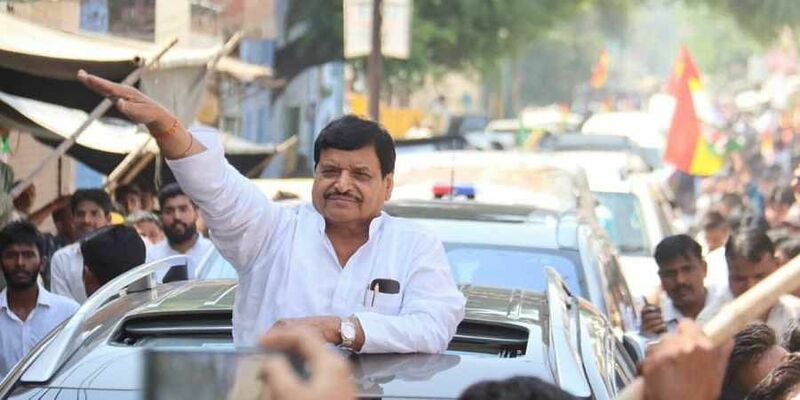 LUCKNOW: In a series of sops doled out to Samajwadi Secular Morcha (SSM) president and Jaswant Nagar MLA Shivpal Yadav, Uttar Pradesh government is likely to upgrade his security by recommending Z plus category for the estranged Samajwadi party leader. The state government is set to take a decision in this regard in the wake alleged threat to the life of Shivpal as has been claimed by him. The Secular Morcha founder was allotted a sprawling bungalow at 6, Lal Bahadur Shastri Marg which was vacated by BSP chief Mayawati on May 31, 2018 in compliance of the Supreme Court order for the ex-CMs over their eviction from government accommodation. According to sources, an alleged security threat to Yadav could be the reason for the increased security. A recent Intelligence Bureau report mentioned about the possible security threat to Shivpal who has rebelled against his parent party after getting engaged in a perpetually intense family feud, more so, with SP chief and his nephew Akhilesh Yadav over the transfer of party legacy. At present, VVIP 'Z plus' security cover has been given only to Samajwadi Party chief Akhilesh Yadav, his father Mulayam Singh Yadav and BSP supremo Mayawati in the state. The state government's move to accord upgraded security cover to Shivpal has raised many eyebrows. While fingers were already being raised at the allotment of the bungalow to him, now extending VVIP security cover would, undoubtedly, leave many tongues wagging and trigger speculations in political circles. Already rumours are rife in the corridors of politics in UP that the BJP is trying to woo Shivpal Yadav to widen the rift he has with nephew Akhilesh. Moreover, Deputy Chief Minister Keshav Prasad Maurya had suggested the SSM founder to merge his party with the BJP. Explaining the upgradation of his security, Shivpal said: "I have been a five-time MLA and former minister, so I wanted a bigger space for which I had applied. Before allotting the bungalow to me, the state government had sought a report from the Intelligence Bureau and on the basis of it, this new house was allotted to me. All the rules and regulations have been followed in allotment of the bungalow,-" Yadav claimed. The bungalow situated at 6 Lal Bahadur Shastri Marg was earlier allotted to Bahujan Samaj Party Chief Mayawati and was vacated after the orders of the Supreme Court.